Like many cyclists, the end of the road racing season in October is when I start looking back at what I’ve achieved and figuring out where I want to be in the future. It’s a time to reflect on what worked and what didn’t but most importantly, what gave me the most satisfaction. A time when many racers have a short break, Autumn is also when you need to start planning your training for the following season. Prep needs to begin WAY in advance of any races if you want to perform at your best. Although I’ve been busy planning for 2018, I can still barely believe that the year is very nearly at an end. So with Christmas only two weeks away and New Year just around the corner, I figured now would be a good time to share this post as I plan on taking some time off over the holidays to spend seeing family whilst getting plenty of riding in. The year kicked off in fine style when Dave and I headed to La Gomera to enjoy some sunny miles and time by the pool. The second smallest island in the Canaries, La Gomera is climber’s dream with fabulous quiet roads through a dramatic landscape shaped by volcanic activity. Sadly we can’t afford a return visit this year but if you’re looking for somewhere with near enough guaranteed sun in deepest winter I’d definitely recommend a trip over. More on my original post here. When we originally booked Gran Canaria, we didn’t know we’d also be going to La Gomera, hence it was that we visited the Canary islands twice in as many months. Dave and I had also come to the conclusion that winter sun holidays offer way more bang for your buck than summer ones as you’re escaping the UK during the coldest, gloomiest months. Summer, well it’s nice anyway so getting away is somehow less urgent. Anyway, we hopped on cheap flights from Bristol, caught the airport bus into Playa Ingles and found ourselves a decent place to stay – Apartments Dunasol. The plan was pretty simple – spend as much time riding as possible and do very little else. We didn’t struggle one bit. The trip wouldn’t have been anywhere near what it was without the help of Free Motion Bike Centre who I can’t recommend enough. With impeccably serviced quality bikes and the nicest guides leading rides through the mountainous island, any trip to the island henceforth will have to be arranged through them. Read more about one of my favourite climbs in GC here on the Brooks website. Another great trip was to one of my favourite parts of Spain, Catalonia. Barcelona hosts one of the best races in the Red Hook Crit series, widely adored by racers from around the world thanks to its seaside location, superb weather and good vibes so I was very eager to return at ASSOS’s request to attend a special event at women’s cycling store Domenica. Domenica turned out to be one of the coolest cycling shops I’ve ever visited but even better, the evening and ride drew together a really awesome bunch of women who I immediately got on with. Our route into the surrounding countryside took us up past Tibidado, a brilliant climb with views of the city. Any visit to the mountains is a treat in my books but this summer’s Pirelli trip was a real highlight of the year. I was invited to the Dolomites to test out the new Pirelli PVZero tyres and ride the legendary sportive Maratona dles Dolomites, an organised ride taking in some of the regions most famous climbs and passes. I consider myself a relatively poor climber compared to some of the people I ride with, so I was actually a little anxious about the amount of climbing we’d be going on the long version of this classic Gran Fondo. As it happened I didn’t really find it too much problem (apart from one particular brute of a climb) racking up over 4000 metres of climbing, which is a a new record (for myself). Sometimes some of the hardest races are actually my favourite and that’s even if I don’t do as well as I’d like to. 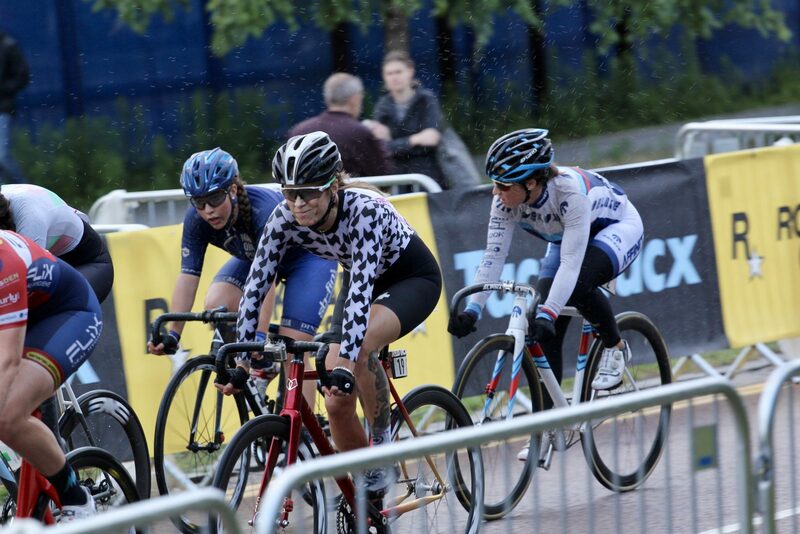 Happily, that wasn’t the case in at Red Hook Crit London; a very difficult event resulted in a top ten finish. Click the link below to read all about the most savage but memorable races of the year or to watch the video. 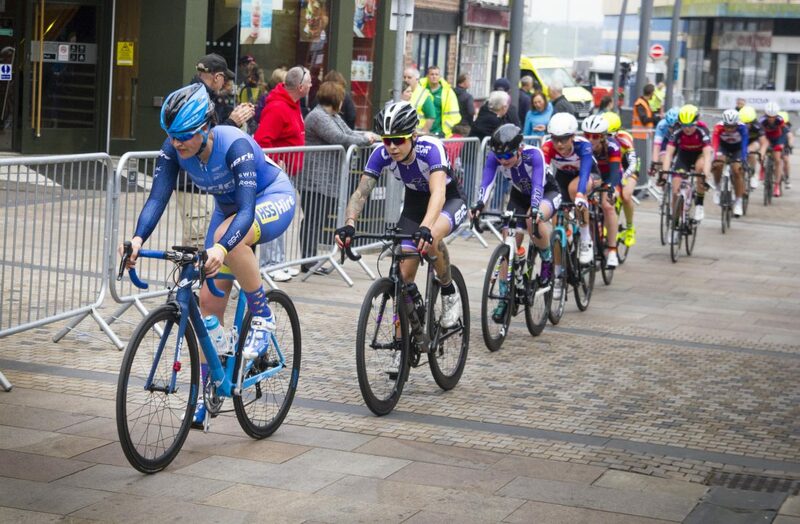 A totally unexpected surprise was racing the Tour Series in May. Only open to the top tier women’s teams in the UK, the series of circuit races take place in cities around the UK over a couple of weeks. I was so fortunate to get a place a guest rider with Liv Epic as some of their riders were busy taking school exams, a fact which made me feel extremely old! Circuit races or criterium are my number one favourite kind of races, being short, brutally fast, technical and thrilling. Having no experience of racing road crits in city centres but plenty from racing my fixed gear bike, I was keen to see how much my knowledge and skills would cross over. I was award that the standard would be very high and set myself some relatively modest goals, entering the races for the experience rather than any hope of performing at a similar level to the women who race full time on teams such as Drops. In the event, I had one result I was pleased with and another crappy race where I fell off in the rain. The races were incredibly tough and remain vividly imprinted on my mind. I’m so grateful I had the opportunity. Another favourite ride took place on UK soil, which just goes to show you don’t need to travel far and wide to have a good time and experience something different on your bike. RideLondon is a hugely popular sportive that makes use of the route of the London 2012 Olympic road race, heading out into Surrey on closed roads before taking in a couple of hills and heading back through Kingston en route to Buckingham Palace. It’s fiendishly difficult to get a place on this mass participant traffic event – I know of people who have entered the ballot three years in a row and still not been successful – so I was really grateful to be given the opportunity to participate. A wonderfully sunny day, the ride is a highlight of my year thanks to the friendly, happy people I encountered on route. What a joy! I wrote an article earlier this year for Velovixen where I muse on the fact I often enter things for which I’m underprepared and it was Glacier 360 that really sparked that train of thought. I was invited along to this three day mountain bike stage race by a fellow cyclist who shares the same ‘why the hell not?’ kind of attitude that I have, and it’s interesting to note that said cyclist also didn’t prepare for the trip. Despite the face we’d not especially thought things through Kym NonStop and I ended up being quite the dream team, spurring each other on and most importantly of all, never getting grumpy at the same time. Click the link below to hear all about how we got on and to see some more lovely photos from Ginger Beard Photo. It’s actually been pretty hard to pick which rides to include in this post as I didn’t actually take photos or film at every single one so there are a few weekends riding mountain bikes with the girls that I’m unable to share with you guys here. I always make sure to leave my camera and camera phone at home every once in a while, so I don’t get too bogged down with getting everything on film – sometimes it’s nice to just switch off and forget all that stuff. 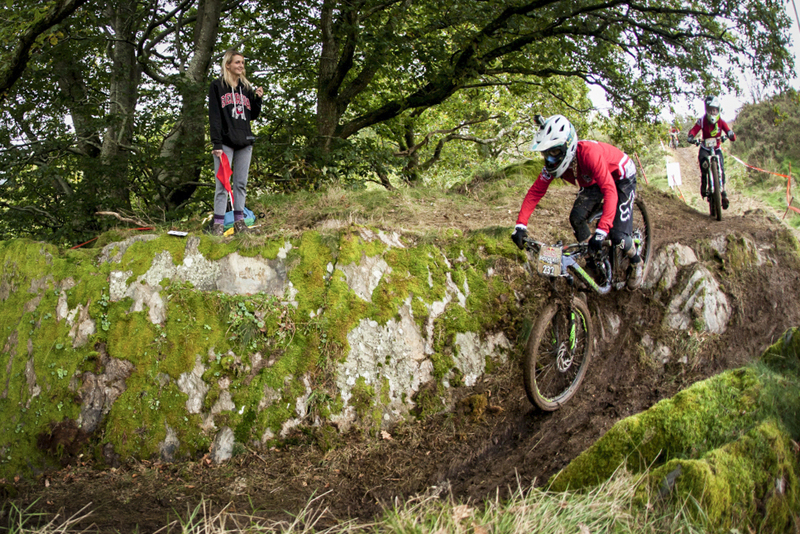 One mountain bike weekend that I did capture was just a few months ago at Red Bull Foxhunt in Wales, where along with riding a hilariously slippery course I spent a couple of nights camping out and getting muddy. I was well looked after by EE, who’d invited me along to test out the new Apple Watch Series 3 on their network, which is pretty much a dream job for a bike obsessed tech nerd like yours truly. Wrapping things up, my last trip to Taiwan was an unforgettable adventure and like RideLondon, not just due to the cycling but thanks to the people I shared the miles with. 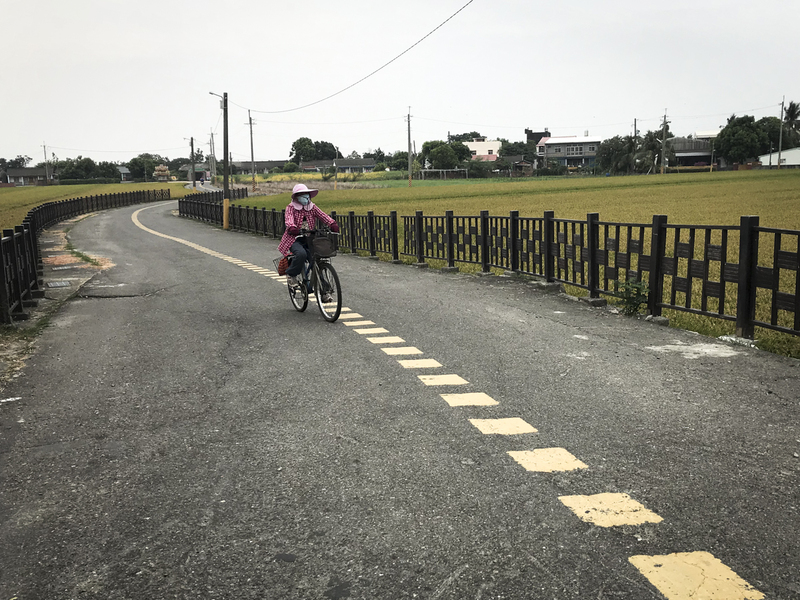 Formosa 900 is a well established round the island cycle route that uses a mixture of highways, bridges, coast roads and bike paths to explore the diverse landscape straddling the Tropic of Cancer. 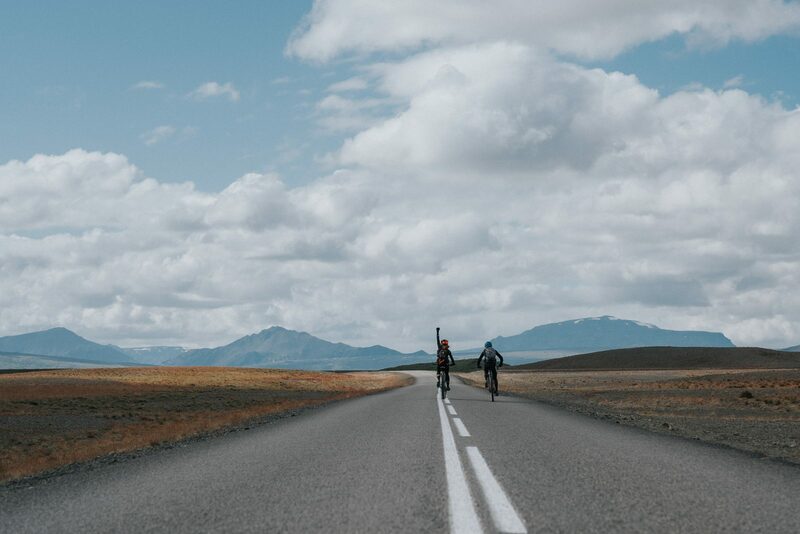 Chaperoned by a team of locals with the support of a fully loaded snack van, I felt truly liberated having to do nothing except pedal my bicycle. With so much of my time taken up with training and riding at specified intensities, I’d almost forgotten how wonderful it is to let your mind drift free and I thoroughly enjoyed the almost physical sensation of my brain relaxing and letting go . This kind of cycling, where your legs just go on autopilot whilst your mind slows down should be prescribed therapy. I hope you’ve enjoyed looking through these rides and maybe found something you’d like to try in 2018. I’m currently working out what races and events I want attend next year myself – are there any that you think I should consider? Leave your thoughts and suggestions in the comments below.